Cinema is always evolving and it’s an exciting process to witness, to explore and to understand. 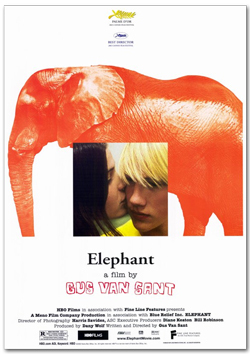 A film such as Elephant is just one example of many notable films that have gone quite some way in transcending its original moment of release to become something of a landmark in contemporary cinema; in this instance contributing significantly to the broadening of non-Hollywood cinema’s reach. Certainly, Elephant provides us with a particular treatment of a national trauma in very recent American history and memory and, in turn, the film might well be considered particularly challenging.